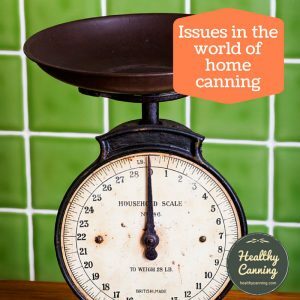 Don’t try to rush the cool down period after a pressure canning session. 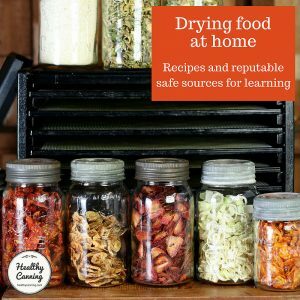 It’s actually vital for both food safety and food quality. 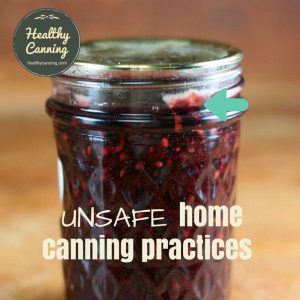 You can remove the canner from the burner and slide it over to another burner, if you can do so without throwing your back out, or scratching the stove top all to heck, but that’s the extent of it. 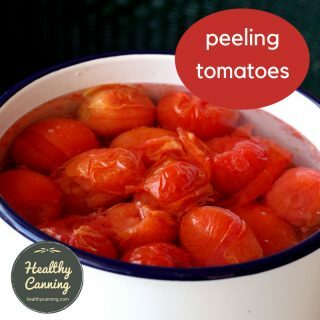 Don’t jiggle the jiggler to get the steam to release faster; don’t pour cold water or put a wet blanket on it; don’t sit the canner in a bank of snow or sink of cold water. 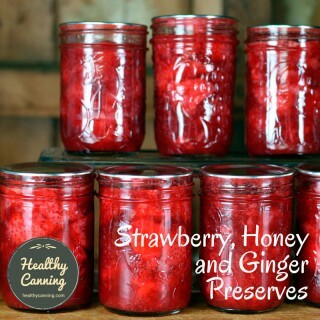 Even if the day is fast advancing and you have another load to force through the canner, you just have to wait and let nature take its course and let the cool down happen on its own. 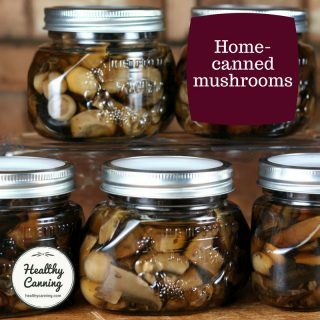 “Heavy-walled older canners: 30 min full of pint jars, 45 min full of quarts. 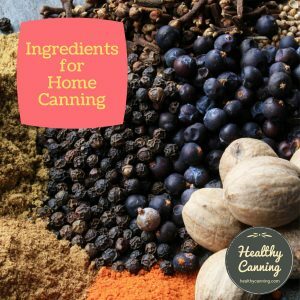 Thinner wall, newer canners: 20 to 30 minutes.”  Andress, Elizabeth L. Pressure Canning and Canning Low Acid Foods at Home. Cooperative Extension: University of Georgia. Powerpoint presentation, slide 31. Accessed March 2015 at nchfp.uga.edu/multimedia/slide_shows/CanLowAcid_web08.ppt. 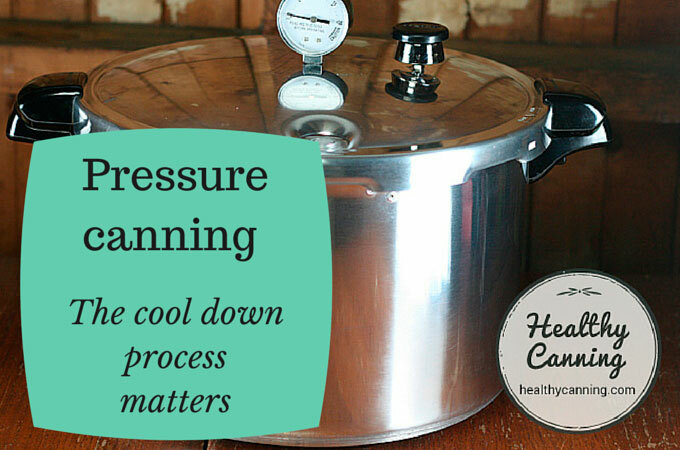 Compromising the natural cool down process will invalidate all the safe processing you just did. It’s actually a vital part of the process. Note this is not to say that the lethality (killing of the nasties) is occurring at the lower temperatures such as are experienced during cool down. 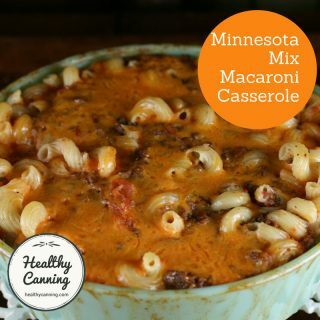 So don’t conclude that it’s okay to only heat something up to lower temperatures. It’s saying that the killing is occurring during the climb down from the extreme high temperatures that were first reached. So it’s still vital to reach recommended processing pressures for the recommended length of time. 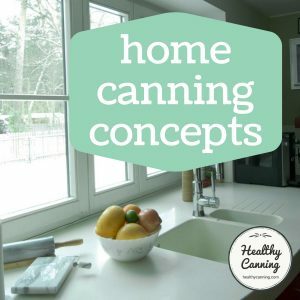 “Heat-up and cool-down times in pressure canners are counted toward sterilizing value of the process. 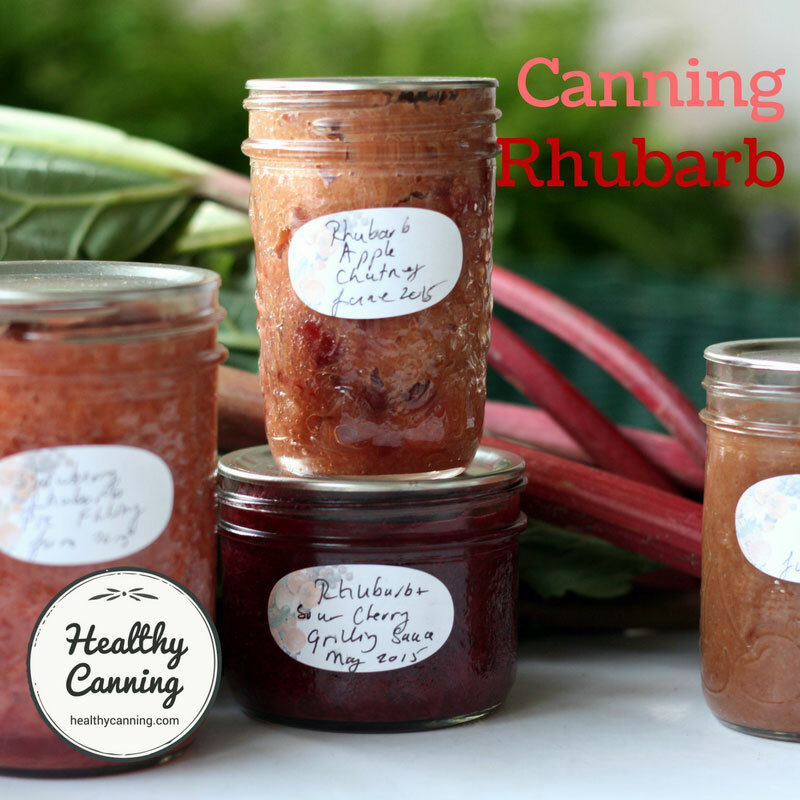 Don’t rush them.”  Andress, Elizabeth L. Pressure Canning and Canning Low Acid Foods at Home. Cooperative Extension: University of Georgia. Powerpoint presentation, slide 11. Accessed March 2015 at nchfp.uga.edu/multimedia/slide_shows/CanLowAcid_web08.ppt. 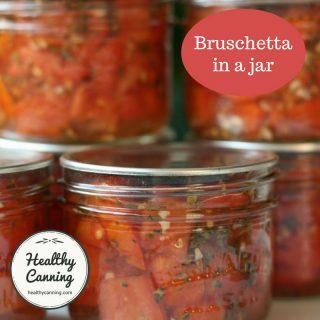 There’s also a quality factor: rushing cool down can cause food to spurt out of the jars, resulting in loss of liquid inside the jars, and seal failures. 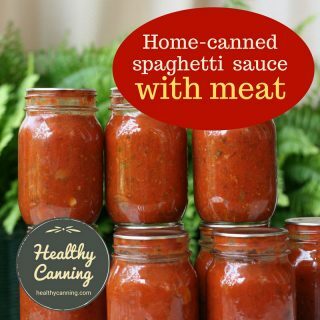 You could also warp your canner. 1. 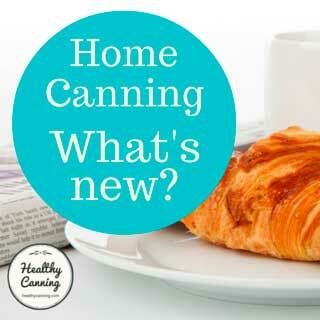 ↑ Andress, Elizabeth L. Pressure Canning and Canning Low Acid Foods at Home. Cooperative Extension: University of Georgia. Powerpoint presentation, slide 31. Accessed March 2015 at nchfp.uga.edu/multimedia/slide_shows/CanLowAcid_web08.ppt. 5. 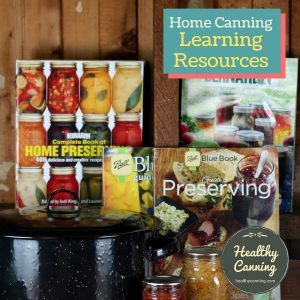 ↑ Andress, Elizabeth L. Pressure Canning and Canning Low Acid Foods at Home. Cooperative Extension: University of Georgia. Powerpoint presentation, slide 11. Accessed March 2015 at nchfp.uga.edu/multimedia/slide_shows/CanLowAcid_web08.ppt.